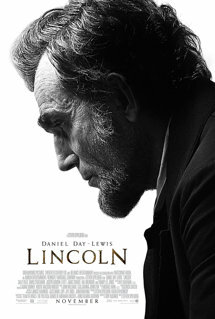 We went to see the movie Lincoln, a Steven Spielberg film, over the holidays. The movie stars Daniel Day-Lewis as Lincoln, Sally Fields as Mary Todd Lincoln, Hal Holbrook as Lincoln adviser Preston Blair, James Spader as political operative W.N. Bilbo and Tommy Lee Jones as Thaddeus Stevens. 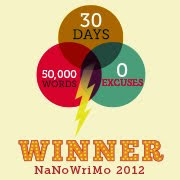 Of course I have to give props to the writers. Tony Kushner's screenplay was tremendous, and was partly based on Doris Kearns Goodwin's book Team of Rivals: The Political Genius of Abraham Lincoln. Most of the movie takes place in January 1865, just after Abraham Lincoln was elected to his second term as president. It was during this time that Lincoln focused on pushing the 13th Amendment through congress, thereby ending the Civil War and slavery, and uniting the nation. My favorite thing about this movie: Lincoln’s love of words and storytelling, and how it all sounded coming out of Daniel Day-Lewis’ mouth. Brilliant. Abraham Lincoln often told awkward jokes, went on random tangents, quoted Euclid and the Bible and any other source that gave evidence to the lesson he was offering. Daniel Day-Lewis, who normally communicates in a deep baritone, used a high-pitched, reedy tenor voice in the film. Historical sources indicate that this timbre is close to the way Lincoln actually spoke. There were plenty of rambling monologues in the script and Day-Lewis kept my husband and I captivated with this soft, homey cadence. The language and the delivery were magnificent. Steven Spielberg did a remarkable job with his depiction of our 16th president. This is one of the most authentic biographical movies I’ve ever seen. If you love lyrical words masterfully woven together by some of the finest actors and actresses working, then I recommend this movie. If you love action-packed thrillers with car chases and exploding airplanes, then I do not recommend this movie. Let me know what you thought of the movie. Both me and Charlie loved this movie! It was eloquent and captivating and in my opinion, never a dull moment. I also learned a lot from it. Daniel-Day Lewis should win an Oscar and Sally Fields was fantastic! It was packed with much more emotion that I had anticipated. Loved it and loved your review!